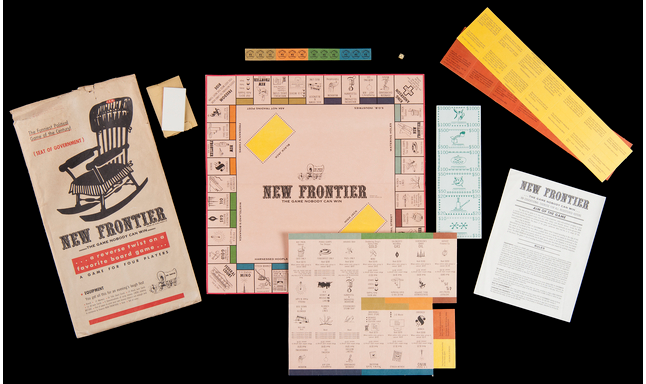 "New Frontier" board game, "THE GAME NOBODY CAN WIN", designed by Colorful Products, Inc. 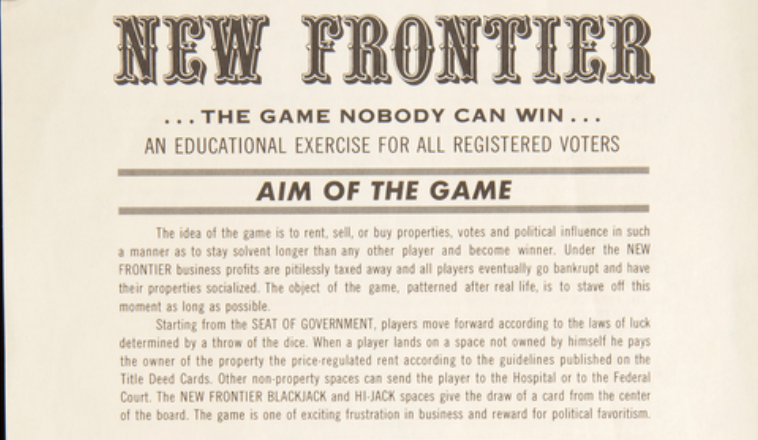 The game is an anti-John F. Kennedy, anti-socialist "twist" on the MONOPOLY board game published by Parker Brothers. The front of the package reads "The Funniest Political / Game of the Century!" over the silhouette of rocking chair labeled "J.F.K.". The game board contains references to Hubert Humphrey, Lyndon Johnson, Edward Murrow, et al. The game was packaged by the Occupational and Training Center of Help for Retarded Children, Inc.
More pix at this link.